As Grace Mugambi recovered from surgery, it was Carolyne Karanja and her children who brought the Hamilton woman food and visited her as she healed. Over time, the relationship grew between the neighbours, who lived in the same downtown apartment building, to the point that the 34-year-old mother of three felt like family to Mugambi. “We used to talk like mother and daughter,” she said. 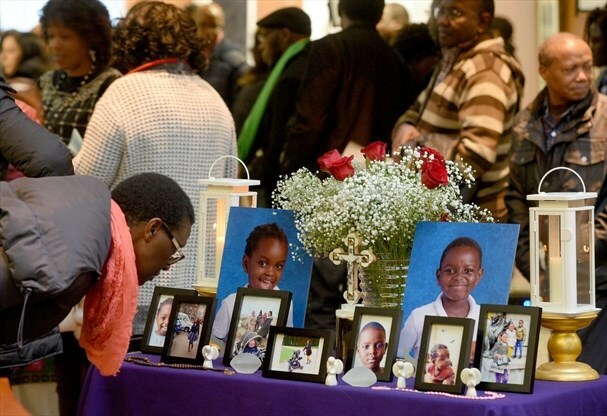 Mugambi, 64, shared memories of Karanja and her family at a vigil for those killed in the Ethiopian Airlines crashorganized by the Kenyan Community in Ontario and held at Hamilton City Hall Saturday night. 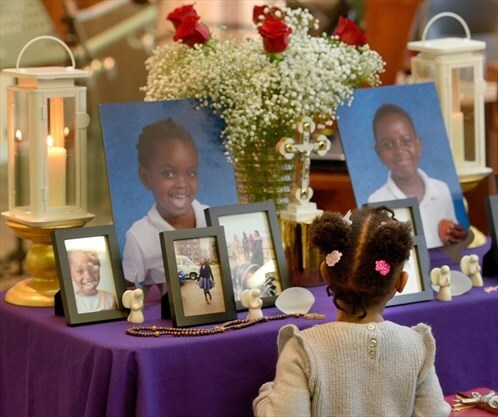 Karanja, her son Ryan Njuguna, 7, her daughter Kelly Njuguna, 4, her seven-month-old daughter Rubi Njuguna and her mother, Ann Wangui Karanja, 60, were among the 157 people killed when the plane, en route to Nairobi, Kenya, crashed minutes after takeoff from Addis Ababa, the capital of Ethiopia last weekend. “I feel empty,” Mugambi told the crowd. Ryan and Kelly had been students at St. Joseph Catholic Elementary School for just over a year. “They shared a great love of family and they quietly led with a strong moral compass,” she told a packed council chambers. Smiling photos of the family along with roses and candles were displayed on a table at the front of council chambers. The same passion the children had for school could also be seen toward their family at the end of the day when their mother or grandmother would pick them up alongside their baby sister Rubi, she said. Local politicians, including Hamilton East-Stoney Creek MP Bob Bratina and Hamilton Centre MP David Christopherson, also made remarks at the vigil as did Kenya’s High Commissioner to Canada John Lanyasunya. 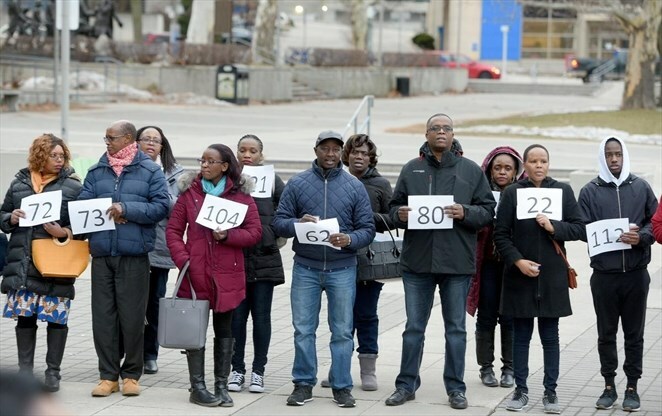 Lanyasunya pointed to the flight taking a “very popular route” for Kenyans living in Canada and Canadians visiting Kenya as the reason why Kenya and Canada had the largest number of people killed in the flight at 32 and 18 respectively. “If we keep our memories of them, what they did in our lives, in our communities, in our countries, we will get the strength to move forward,” he said. 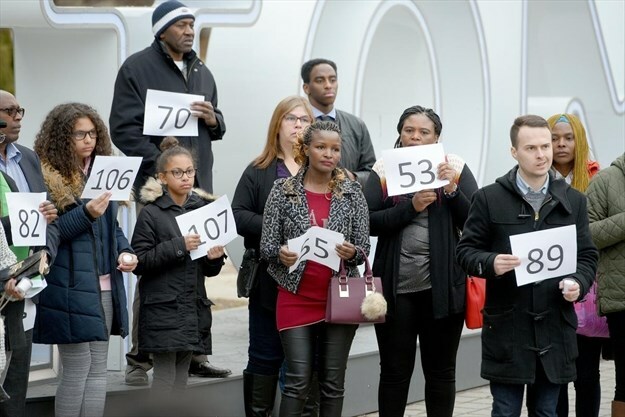 After the ceremony, those who attended the vigil gathered in front of the “HAMILTON” sign outside city hall to sing and carry pieces of paper containing numbers to remember the 157 people killed in the crash.